Are you in the USA (excluding MD, NJ, NY and RI) and unable to access specific lab test that you want to know more about? I want everyone to have access to testing but realize it is not always possible to get to a doctor who will order special tests. 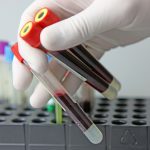 Through Direct Labs you can order conventional blood tests such as full thyroid panels, full iron panels, full hormone panels, vitamin D and inflammatory markers (CRP, homocysteine etc.) and many more. They also provide many naturopathic/functional medicine test kits such as saliva and urine hormone testing, stool testing for candida and parasites and breath test kits for SIBO. You can register with DirectLabs® via the link below and create a requisition for yourself to use at a lab draw station near you. Order Online OR call 800-908-0000 to place your test order. Once registered, then click on Order Tests. Add the test(s) you desire to the shopping cart and checkout. Once the order is received (Monday – Friday 7am-10pm, Saturday 8am-12pm) It will be processed with in 1-2 hours (during normal business hours). You will then receive an email letting you know the Lab requisition had been uploaded to your online account. When the results are available you will receive an email letting you know your results have been uploaded to the same account….please note: YOU MUST KEEP YOUR LOG IN INFO in order to get into your account and obtain your results. If you would like to release the results to someone besides yourself (i.e. a doctor or healthcare provider), you can click on the HIPAA Release form and enter the recipient’s information (email address and or fax number). Call 800-908-0000 and quote the code R-DNL. Orders will be processed and an online account will be automatically created. You will receive an email letting you know the Lab requisition had been uploaded to your online account. You will then need to log in and Print it and take it to nearest Quest Diagnostics. There is a Lab Locator Tab to find the nearest location. When the results are available you will receive an email letting you know your results have been uploaded to your online account (the same one you used to print off the requisition). YOU MUST KEEP YOUR LOG IN INFO in order to access your account and your lab results. If you would like to release the results to someone besides yourself (i.e. a doctor or healthcare provider), you can click on the HIPAA Release form and enter the recipients information (email address and or fax number). Any question or concerns? Feel free to contact me.